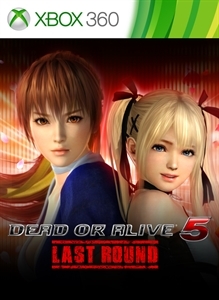 Join all 16 girls of DOA5LR on a steamy tropical getaway to Zack Island! This set includes 1 costume each for Kasumi, Ayane, Tina, Leifang, Hitomi, Kokoro, Helena, Lisa, Mila, Christie, Momiji, Rachel, Marie Rose, Phase 4, Nyotengu, and Honoka. *You must have the latest update installed before using these costumes. *The Fireworks stage shown in the screenshots cannot be used in this version of the game.